As Washington, DC’s only Segway-authorized dealer and agent, Capital Segway is the best source for everything Segway inside the Beltway. 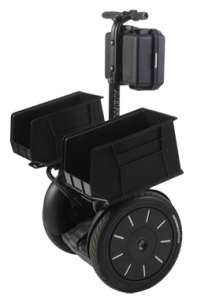 The Segway® Personal Transporter (PT) is a highly adaptable productivity tool ideal for enhancing the productivity of your office. It makes workers faster, increases carrying capacity, requires less resources to maintain than other similarly used vehicles, and is as maneuverable as a person walking. Whether you’re looking for five Segways PT or 55 Segways PT, Capital Segway can outfit your department with the tools it needs to operate more efficiently, and secure more effectively. Call or email us today to speak with a certified sales representative about a Segway PT package tailored to the specific needs of your police or security department.